Get ready for the most romantic day of the year in Barcelona! Did you know that Barcelona has its own version of Valentines Day? 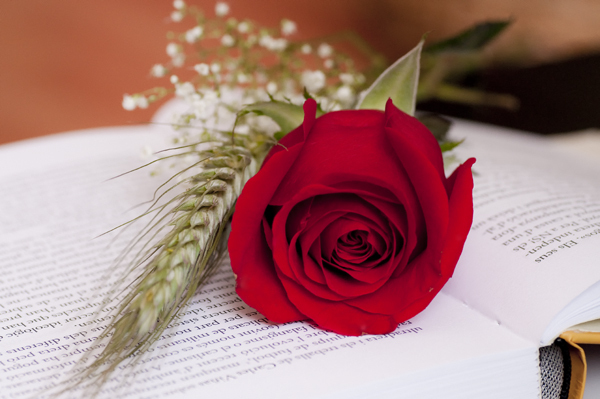 Every year on the 23rd of April, people share books and roses to show their love. You’ll see streets fill with little book stalls and people selling roses all over Barcelona – on Sant Jordi’s day you wont have to spend much time searching for a rose as they will practically find you! The most pleasant way to enjoy the day is walk around the city, especially around Las Ramlas, Plaza Catalunya and Passeig de Gracia. Everyone will be out and about on Sant Jordi’s day, so we’ve proposed some plans for you to do for day! What to do in Barcelona on Sant Jordi’s day? On Sant Jordi’s Day, some of Barcelona’s most important buildings open their doors to the public totally free of charge. Take advantage of this occasion to discover some of the most historically significant and emblematic buildings in the city. Situated in the Gothic Quarter, the Palau de la Generlitat houses of the offices of Parliament of the Catalonian state and is also one of the only remaining medieval buildings in Europe that still functions as a seat of government, still housing the institution that originally built it. Palau Guell is a stunning mansion designed by Barcelona’s renowned modernist architect Gaudí as the residence of the Güell family. It’s certainly one of his most prestigious works. The National Library of Catalonia is a building with plenty of history; the arches in the main hall are truly stunning, perfectly preserved from their year of construction. The main mission of the library is to collect, preserve and spread bibliographic production of the Catalan language. In recent years, typical foods that represent the occasion have begun to appear. For example, the “Pan de Sant Jordi”, a bread made with the sausage sobrassada and cheese. The novelty is that when sliced, it reveals stripes from the Catalonian flag. You can also find typical cakes in the shape of a heart or chocolate roses. Everything is open to the imagination. If you’re looking for a creative and original treat, we recommend you to go to the bakery Sylvia’s Box. They have created cookies in the shape of a book with blank, white pages where you can write your personalised message for you loved one with edible ink. At Sylvia’s Box you’ll also find edible roses, princes, princesses and dragons from the legend of Sant Jordi. One of the most secluded, special corners of Barcelona is the plaza de Sant Felip Neri. It is hidden away in the centre of the Gothic Quarter behind the Cathedral, like a peaceful oasis in the middle of the hustle and bustle of the city. It’s the prefect spot to walk around and pass time peacefully. If you want to enjoy a beautiful and romantic sunset with your love one, the Paseo Marítimo is the perfect place. 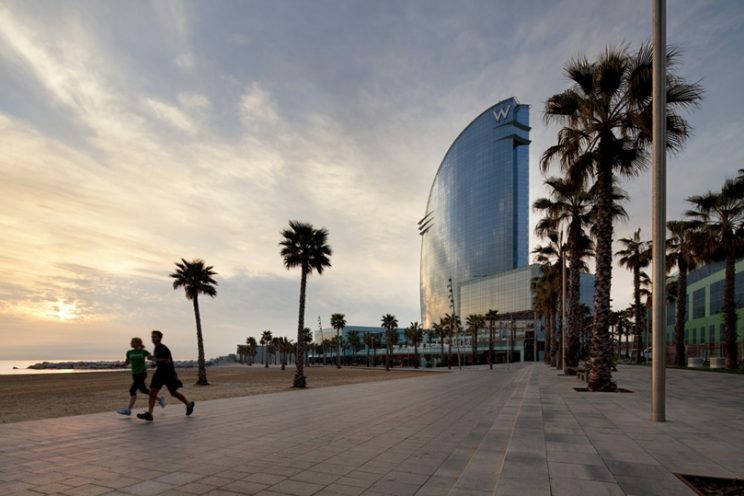 The beach promenade lies between Port Vell and the beginning of the Rambla and goes for some 5 kilometers. What we recommend is a stroll down the promenade followed by a delicious paella on the seafront – the restaurant Salamanca is one of the most recommended. Last but not least, on Sant Jordi’s Day you cannot miss a walk down Las Ramblas, Plaza Catalunya and Passeig de Gracia. It will certainly be busy but it’s always fun to go hunt for a book from the many book stalls and buy a rose for your loved one.